If you’re a Patriots fan, you know all about the year 2000. 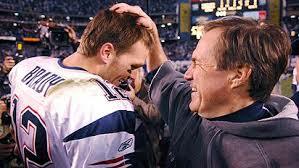 That’s the year Bill Belichick signed as Head coach of our team . Little did we know what he would actually bring to us. The Patriots are now referred to as a “Dynasty”. With the threat of going to the Super Bowl again, even with all the turmoil and accusations, Bill never waivers. He keeps putting championship teams together, year after year . Is he the best coach ever in NFL history? I say no doubt . No coach has done what he has done in this era of the NFL. He is not liked by many across the country. His personality is one that doesn’t lend itself to many, but here in New England, we don’t care. He wins and continues to win. Undrafted players, players who others teams cut: He uses everyone to their fullest potential, surrounding himself and the other players with great coaches and great staff.